Now that the Galaxy S8 launch dust has settled, it’s time for some Galaxy Note 8 leaks. 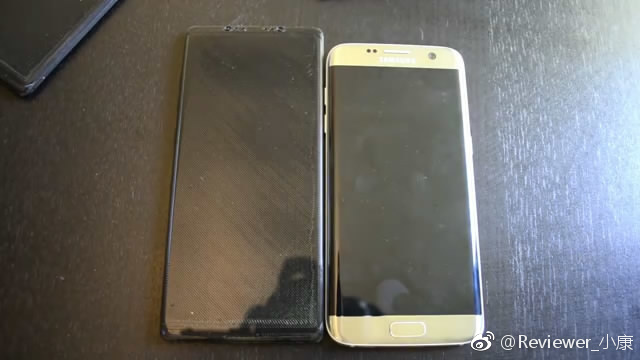 Samsung’s next flagship phablet is expected to be unveiled sometime later this year. 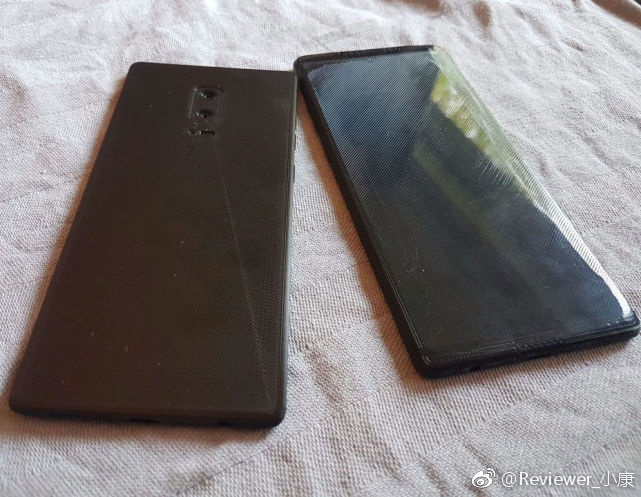 A dummy unit of the Galaxy Note 8 has now appeared on the Internet, showcasing its exterior design along with the placement of important bits like the camera and the sensors. Such dummy units are generally shipped by the company to accessory makers for timely launch of cases and covers. As you can see in the images, the front of the device is mostly covered by the Infinity Display, similar to the Galaxy S8 and S8+. At the back, there seems to be a vertical dual-camera setup and an LED flash. There doesn’t seem to be a fingerprint reader anywhere on the device, which leads us to believe that Samsung might have been successful in implementing an in-screen fingerprint reader. However, you should take these images with a pinch of salt as nothing can be said for sure before the official unveiling takes place. The phone is expected to feature a 6.3-inch display, an S Pen, a 12MP+13MP rear-facing camera setup with 3x optical zoom, and a slightly larger battery. What do you think of these images? There’s also a video of the dummy down below. This is not a dummy until shipped by Samsung, this was 3D printed by someone who does 3D renders based on schematics – lots of their videos are on YouTube. Probably based on what the S8 should have been?